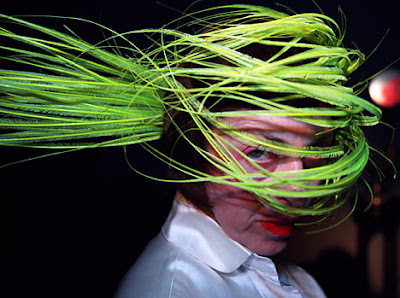 Isabella Blow 19 November 1958 – 7 May 2007 Isabella Blow's life was one of extremes of tragedy and inspiration. She fostered talent while nurturing desperate personal unhappiness and for many she embodied English eccentricity. Blow was one of fashion's most influential personalities, and famed for her originality and boundless enthusiasm as a stylist. The risk-taking provocateur was a designer's dream.. She was also responsible for discovering Alexander Mcqueen, Sophie Dahl, Hussein Chalayan, Stella Tennant and hat designer Phillip Treacy. Convinced she was ugly she almost always wore a Treacy hat that would hide her face and accessorized with her famous slash of red lipstick – MAC designed one in homage to her. She worked as the assistant to American Vogue editor Anna Wintour then as creative director for British Vogue and finally until her death as editor for Tatler. Some of today’s biggest stars continue to be inspired by Blow’s captivating chicness. Regardless of your opinion on Lady Gaga’s music and general demeanour, her fashion choices are typically regarded as being very exciting, daring, and revolutionary. 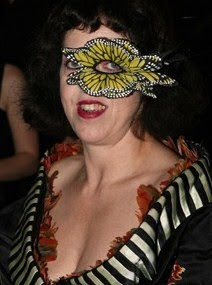 That being said, the next time you hear someone raving about how progressive Gaga’s style is voice a little credit to the late Isabella Blow. Some of Gaga’s most edgy ensembles are direct copies of Blow’s boundary-breaking style, Lady Gaga might be this generations obscure and unconventional Isabella Blow. 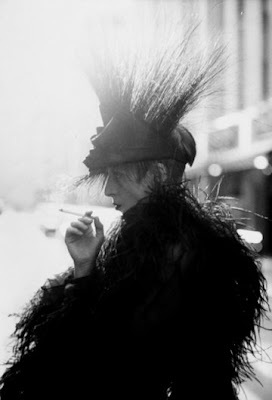 Lady Gaga would be taken back by the comparison of the great Isabella Blow! Love this post! Spot on! there will only be one of her. Ah the ever so fabulous Isabella Blow!!! was just reading about isabella blow and how she would hang-out with andy warhol in new york, and the impact she had on so many designer.